Deluxe 25,000 channel base/mobile scanner with TrunkTracker V (includes APCO P25 I and II). Frequency coverage: 25-512 MHz, 758-824 MHz, 849-869 MHz, 894-960 MHz. 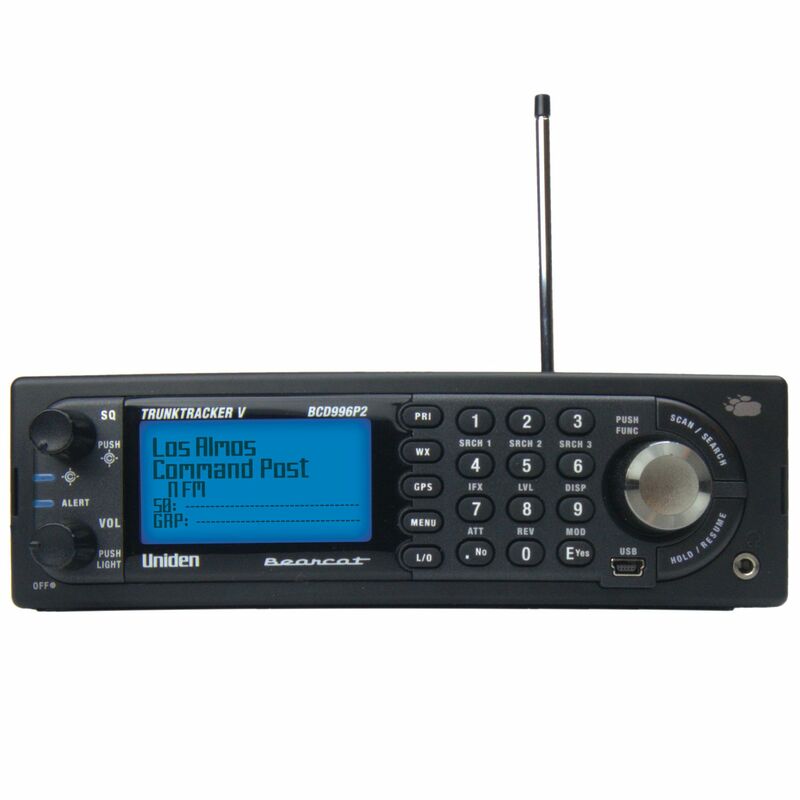 Features Close Call ™ RF capture, Temporary lockout, Location-based scanning, Fire tone-out alert, Band scope, channel number tagging, DCS/CTCSS rapid decoding, audio AGC, S.A.M.E. 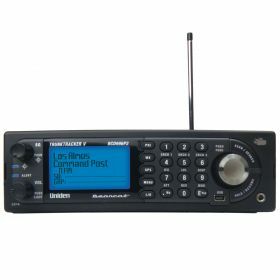 weather & alerts, backlit keypad & LCD display, dynamic memory, custom search function, 16 character text tagging, narrowband reception, key-safe mode, IF exchange, Pre-emptive Trunking priority, 12 service searches for Public Safety, News, Ham Radio, Marine, Railroad, Aircraft, CB Radio, FRS/GMRS, Racing, FM Broadcast & Special (Itinerant). Location alerts & Crows-Flight Navigation when using a compatible GPS device. PC programmable & control (not included). Comes with AC power adapter, antenna, DC wiring harness, USB cable & mounting hardware.